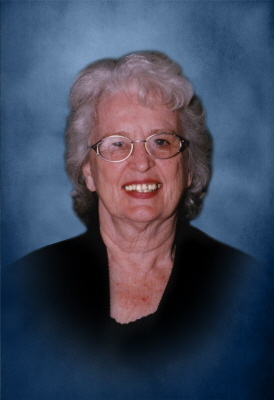 Juanita Mae Vowels, 82, of Tulsa, passed away on February 9, 2019. She was born to the late Thurman and Harriette McDowell, November 30, 1936 in Osawatomie Kansas. Juanita graduated from Central High School in 1952. She attended night classes at The University of Tulsa and worked as a secretary at Warren Petroleum. Juanita met Ted Vowels at Doenges Brothers Ford Dealership when she took her brand new Ford in for service. They had the exact same car and would lovingly say that "the rest is history," although Juanita would love to add that her car was the fastest. She married Ted Vowels in 1956 and they were married just shy of fifty years. They lived in Tulsa OK where she raised their three children: Ted, Bill, and Mike. Juanita gave generously to SPCA and Folds of Honor. She was adventurous and enjoyed traveling. She went sky diving at the age of 79 years. She loved her family and was known for making albums and books that chronicled their lives. Juanita would knit blankets for foster children and made adult bibs for nursing home residents. Juanita is survived by her sister Betty Bothell and her husband Clarence, her loving sons Ted Vowels and his wife Candace, Michael Vowels and his wife Joni; grandchildren Tommy McMillan, Ted Vowels Jr, and Matt Vowels, Sara Hattaway and her husband Patrick, Rylea Vowels, Logan Vowels, great grandchildren Kaylee McMillan, Jackson Hattaway, Harrison Hattaway; Niece Connie Ford and her children Chris Buck and Madison Ford, and nephew Jimmy Bothell and his wife Beverly. Juanita is preceded in death by her parents, her brother Robert, her husband Ted Vowels, and her son Bill Vowels. Visitation will be held from 5:00 - 7:00 PM, on Wednesday, February 13, 2019, at Schaudt's Funeral Service Chapel, of Tulsa. The funeral service will be held at 1:00 PM, on Thursday, February 14, 2019 at Schaudt’s Funeral Service Chapel, of Tulsa with Pastor James Lacey of New Covenant Bible Church officiating. Burial will follow the funeral at Memorial Park Cemetery in Tulsa. To send flowers or a remembrance gift to the family of Juanita M. Vowels, please visit our Tribute Store. "Email Address" would like to share the life celebration of Juanita M. Vowels. Click on the "link" to go to share a favorite memory or leave a condolence message for the family.